Joyce D. Sohl has been Laywoman-in-Residence since 2009 as a full-time volunteer. 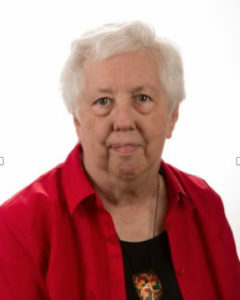 She retired as CEO of United Methodist Women in 2004. She is the author of 4 books, a teacher, retreat leader, writer and non-professional musician. Here at the Center her work is in the area of Spirituality & the Arts with such programs as Tuesdays in the Chapel, Vespers & All That Jazz, Poet’s Corner, quarterly retreats, and art exhibits.